I opened Coastal Orthodontics in 2005 with a passion to serve children, teens, and adults in the communities in and around Pensacola, Gulf Breeze, and Milton. My goal was to create a family practice that would provide people of all demographics the possibility of having a beautiful smile, no matter what condition their teeth were in when they arrived. I can thankfully say that my mission has been accomplished, with our continuously growing roster of patients who believe in our work. 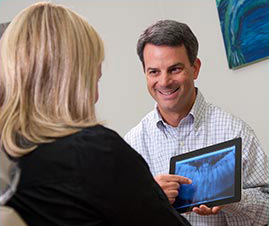 Coastal Orthodontics is now considered the number-one clinic in the area, known for providing excellent and consistent results at extremely competitive fees. I am very proud to say that we have established a lasting relationship with our patients, providing them with the special attention and high level of professional care that they deserve. My focus is on doing as little extraction work as possible, which is made possible by the excellent training I received from the University of Pennsylvania. Always up to date on the latest technology, my approach is as non-invasive as possible, while producing optimum results. As the past president of the EscaRosa Dental Society, I also belong to the American Dental Association, the Florida Dental Association, the Southern Association of Orthodontists, and the American Association of Orthodontists.